MAMMA MIA! ABBA’S Coming to Town at Two Chefs Kata Beach!!! MAMMA MIA! ABBA’S Coming to Town at Two Chefs Kata Beach!! !MAMMA MIA! ABBA’S Coming to Town at Two Chefs Kata Beach!!! YES!!! 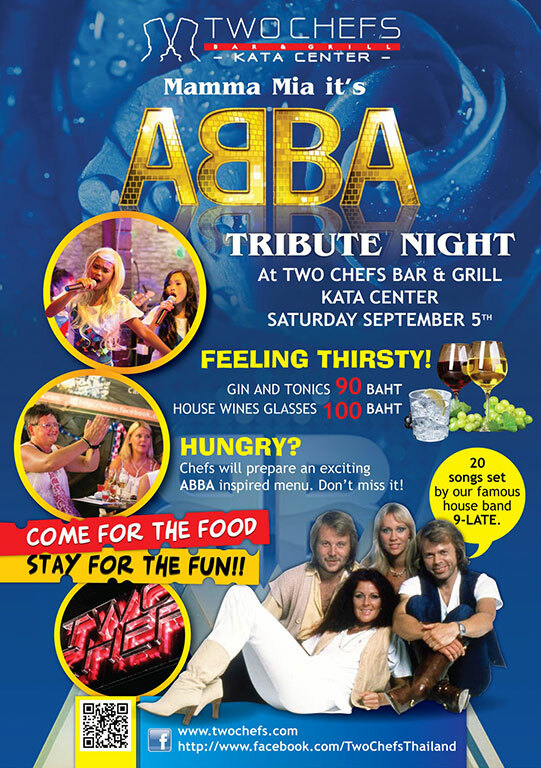 The ABBA TRIBUTE NIGHT is back at Two Chefs Kata Center! COME SEE US this Saturday 9/5/2015 from 6PM-LATE!